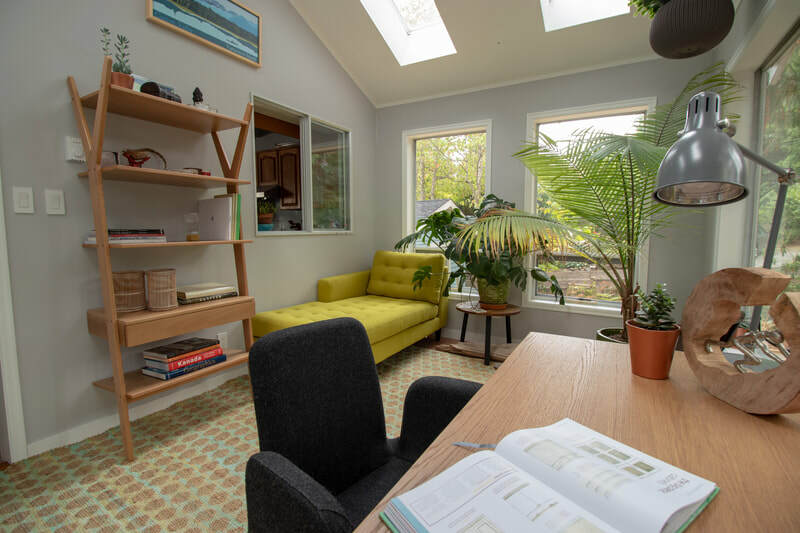 The challenge for this project was to turn a conservatory into a space that could be used as an office with a small lounge area for reading. The room previously only hosted plants ad was not usable at all. 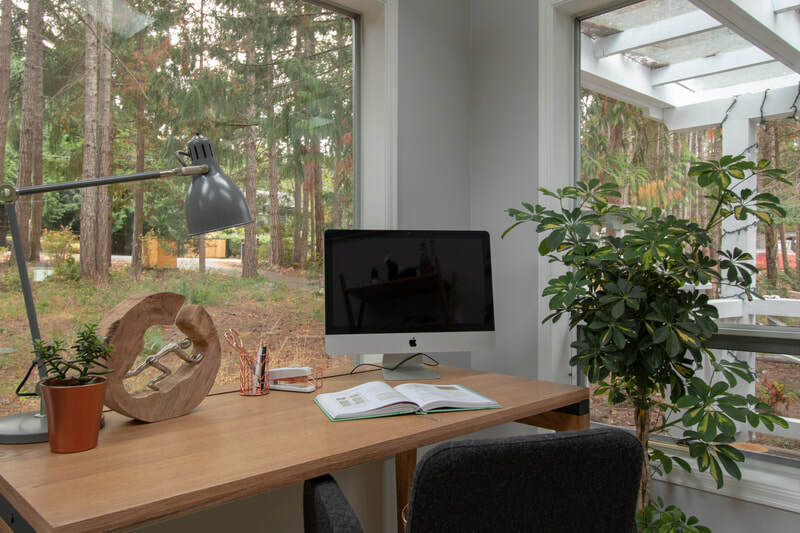 This room with a lot of natural light makes it easy to focus on the important task, while getting inspired by the lovely view.